In its 30 years of use around the globe many people have been exposed to Effective Microorganisms®, many have written on their experiences with this amazing technology. We decided to start compiling a list of books that we do not carry. We do also carry books and magazines on EM Technology® that are not on this list. We have provided links and brief descriptions of the books. Feel free to browse these external sites and read more about Effective Microorganisms. Happy fermenting!! Dr. Gabriel Cousens, MD., from the Tree Of Life Rejuvenation Center in Patagonia, Arizona wrote a great book on foods called Conscious Eating. Here you can learn why this is called the "Bible of Vegetarians." This huge book is available through Amazon.com. The Secret Life Of Water. Dr. Masuro Emoto has been studying the effects of energy on water and has written several books on the subject. In more than one of his books he discusses Effective Microorganisms®. Several of his books are available through Amazon.com. Teaming With Microbes has become an underground sensation in several arenas with its discussion of beneficial microorganisms. Jeff Lowenfels did not forget to mention the benefits of Effective Microorganisms in his book. 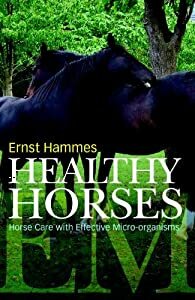 From Europe, Ernst Hammes, a Veterinarian, comes a book on Healthy Horses with Effective Microorganisms. It is available through Amazon and highly recommended if you have horses. 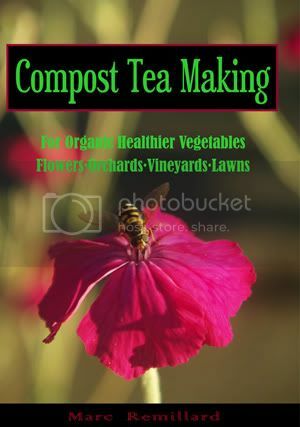 Marc Remillard's Compost Tea Making is a how-to manual on making various concoctions of compost tea. Besides his book, Marc also has an interactive blog where you can ask him various questions about his experiences. The Holistic Orchard. Michael Phillips is a leading expert on organic apple production. Read about methods and suggestions from first hand experience. Michael has been on a book tour for the past year and is spreading the word on successful organic apple production and connections with surrounding communities. His book is available through his website: http://www.groworganicapples.com/organic-apple/.